The comfortable way to energy efficiency: the Eurosmart Cosmopolitan bathroom tap is engineered with the GROHE SilkMove® ES technology. In the mid-lever position, only cold water flows. This way, daily routines like brushing your teeth and washing your hands have a positive effect - both for your wallet and for the environment. 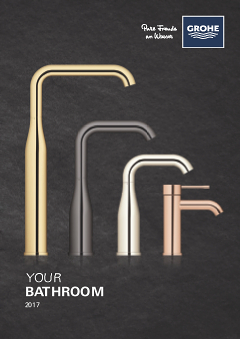 Reduce your water consumption by up to 50% with GROHE EcoJoy® and reap the full potential of the Eurosmart Cosmopolitan tap with pop-up waste.